The Ambient™ 2.0 combines a water-resistant Polartec® Windbloc® soft shell backhand with an ultra-cozy deep-pile fleece lining. A Polartec® Windbloc® microfleece palm adds a layer of warmth with great dexterity, and Ax Suede™ Echo patches provide grip and durability. 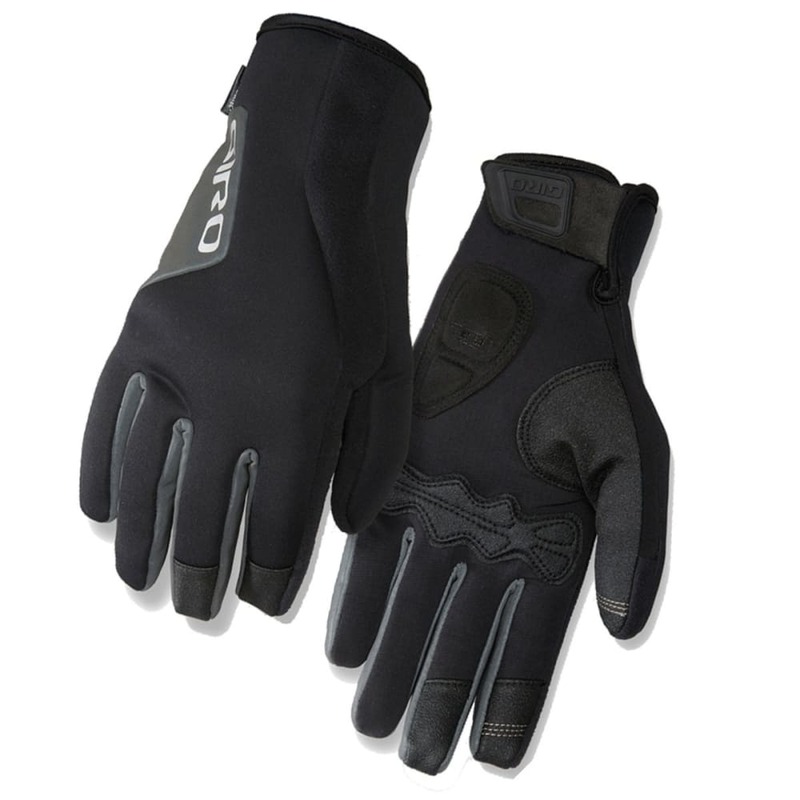 For an extra layer of warmth, Giro double wrapped the first two fingertips, since they are most exposed to the cold air. The glove’s light feel is great for long rides, yet it packs enough warmth to fight off temperatures that hover around freezing. The Ambient 2.0 features Polartec® Windbloc® palms for an elevation in warmth above the Blaze and Inferna. The higher loft on the palm side traps more air for better insulation against the cold. Touchscreen Technology: Capacitive touchscreens found on most mobile devices like the iPhone react to natural bio-electricity in your skin. By combining a conductive fiber into the fingertips of select Giro gloves, we help you stay connected to your mobile device without removing your gloves.